Placing of an order constitutes acceptance of these terms and conditions. 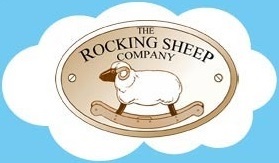 All The Rocking Sheep Companies products are made to order. There are therefore no cancellation rights under the Distance Selling Regulations. Our Guarantee. All our Rocking Sheep & Lambs are fully guaranteed for life from faulty workmanship and materials. This excludes the fleece which we are happy to replace at cost inc P+P if required. In addition if your Sheep or Lamb becomes knocked and scraped with years of use we are happy to repair, relacquer and generally refresh at NO cost. All we ask is that you return your Sheep or Lamb to our workshop and collect when any work is complete. This guarantee applies to the original purchaser only. An acceptance of repair or replacement is deemed to be an acceptance of the original terms and conditions. The customer shall be notified by e-mail or telephone of dispatch, the estimated time of arrival and consignment number of the goods ordered. If 7 days after the estimated time of arrival the goods have failed to arrive the customer shall notify in writing both the “RSC” and the carrier. The “RSC” liability shall not exceed the price of the said goods. The customer shall inspect the goods immediately on delivery and report any damage occurring in transit or error in order to the “RSC” within 7 days, after this period the goods are deemed accepted by the customer. It is accepted that all “RSC” products and designs to include literature and web design are the property of the “RSC”. Whilst the “RSC” produces to the highest standards, it is accepted that colour variation in both timber and fleece are beyond its control and therefore are accepted as natural variation. These terms and conditions of trade are governed by the laws of the U.K. and any dispute in whatever territory is governed and will be heard before the courts of the U.K. It is accepted that adult supervision is recommended at all times.